Sewickley Academy is a Hubspot school. We’ve had success using their software and continue to use it today. Their tools help us manage our inbound marketing strategy, and I’m so thankful they exist. While I highly recommend Hubspot for schools, I also realize that their software isn’t inexpensive. I understand and recognize the value of their software but also acknowledge that their price point might be too high for some schools. 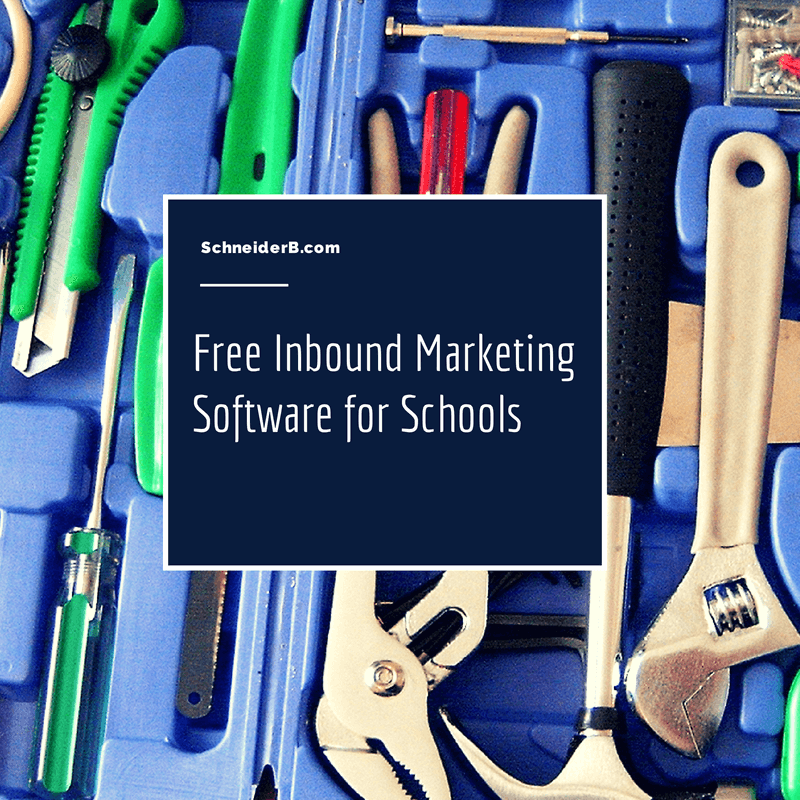 As a result, I’m sharing with you my recommendations for free inbound marketing software for schools that will allow you to mimic the features of Hubspot. 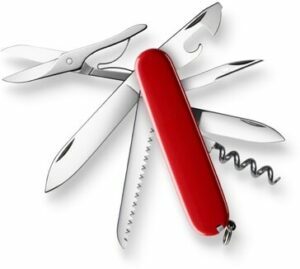 The only drawback with these tools is their lack of integration with each other which is a strength of Hubspot. With all that said, if you are looking for tools to help you with inbound marketing for your school I encourage you to check out my suggestions below. 1. Google Suggestions – Keyword research is an important activity for any inbound marketing strategy at your school. While there are numerous tools available, I’ve found that they are either expensive and/or complex. Begin typing in a word or phrase that you are interested in ranking for in Google. As you are typing take your time and Google will “suggest” possible long tail suggestions of the keyword you are interested in. 2. mention – is my tool of choice for social media monitoring. I’ve used this tool to monitor mentions of my school’s name, important administrators at the school, our team mascot, and competitor schools. While mention does offer paid versions of the tool, they will allow you to use the tool for free with limitations. 3. Talkwalker Alerts – is a free and easy alternative to Google Alerts. This is another great way to keep track of your school’s name on the web. 4. WordPress.org – Launching a blog for your school will be an eventual step in creating an inbound marketing strategy for your school. When the time comes to launch your blog I would highly recommend using WordPress.org – it’s free, there is great community support, and there are hundreds of themes and plugins which will allow you to easily customize your school’s blog. 5. BlueHost – I’ve used quite a few different web hosting services in my time and Blue Host is, by far, the easiest and cheapest way to start a blog. You’re going to love their low prices, ease of use, and 1-click WordPress installations. They also offer a 30-Day Money-back Guarantee. 6. Clicky – My web analytics tool of choice. While I use Google Analytics on a regular basis, I sometimes find it TOO powerful and confusing. I prefer Clicky because it’s much more straight-forward and allows me to get the information I need quickly and easily without have a Ph.D. in Analytics. 7. Hootsuite – is a wonderful, free social media dashboard which will allow you to manage your school’s social media channels including Twitter, Facebook, LinkedIn, and Google+. 8. Leadpages – A very important part of our inbound marketing strategy at Sewickley Academy is utilizing landing pages. I highly recommend this tool to help you quickly and easily create landing pages for your school. I also like the fact that you can quickly and easily host these landing pages on your website, WordPress blog, as a stand-alone link, or on Facebook. 9. Mailchimp – An often underestimated tool in marketing your school is email marketing. While there are some great email marketing tools, I recommend Mailchimp. One of the reasons I recommend Mailchimp is that they offer a free plan for up to 2,000 subscribers with a few limitations. While I highly recommend these tools they won’t replace hard work, research, and time spent creating content. Good luck! Thanks for taking the time to comment and for offering a great suggestion! Good list, for schools or small orgs who can’t afford Hubspot (they abandoned the small market, or long tail, if you like, long ago). I’d add Buffer.com to your list for it’s elegant simplicity as a social media scheduling tool (I use it with my Twitter, FB, and LinkedIn accounts, but it works with more). It has an add-on called Pablo that enables you to easily select a snippet of text on your screen and create a beautiful quotation image from a nice selection within the tool – then post it, add it to your Buffer schedule, or download it to your own device. When I discovered a Buffer integration with Quuu.co, it became my primary tool for social media. Quuu is a UK-based company with a team of human curators that delivers relevant content into my Buffer dashboard every day for me to check before it goes out. When you sign up, you select a handful of topics from an extensive list and they start finding stuff you’ll want to share. This has become a useful piece of my own learning plan, because they are always finding items of interest to me that I would not likely have seen otherwise. We all like the concept of inbound marketing, but we should consider the cost too! HubSpot is not a good fit for all. Great to hear from you, Ralph! I appreciate that you took the time to give us your thoughts, and I will incorporate it into our next review. I do hear you loud and clear. Good feedback. I’ll directly connect with you soon too. Thank you for being a great partner. I love hubspot so much that I am a hubspot partner and primarily focus on inbound marketing for private Christian schools. I used the service at a school and has incredible success. I then left to start a consulting business with hubspot as my primary platform. However I am concerned about the recent pricing and feature changes that hubspot might have unknowingly done that are negatively impacting this segments ability to fall in love with hubspot. Do you realize when schools use hubspot the impact it has on board members, leaders, and other business owners involved in the school? It is a huge word of mouth tool for hubspot to penetrate into this niche. I recently posted on the hubspot forums about this very topic as I am growing concerned with Hubspot pricing themselves out of the small non-profit sector especially schools. Recently I have found it very hard to retain some clients because of the limitations on some of the features on hubspot that are essential for schools in the basic package. Therefore I am forced to use a hybrid approach like Brendan discusses in this post. In particular the ability to have different user authority unless you upgrade to the $600 month edition from the $200 a month. In a school environment you do not want the secretary who records prospects to have admin rights to hubspot but you do want her to be able to access key areas of the hubspot dashboard in a “sales/Admissions” role. Is it possible for hubspot to create a non-profit offering that is friendlier to these needs? Most non-profits do not need all the features and the basic package is fine but not when you cut out some of these features it hurts. I say this transparently as I do love hubspot and want many many schools to adopt its use but right now it is growing tougher. I am certain with guys like Brendan and others we can get you plenty of new clients that will make it worthwhile. HI @brookefreedman:disqus – Thanks for taking the time to comment and for offering to help. I do love Hubspot! Hi Brendan- Its Brooke from HubSpot. Thanks for sharing your ideas! This is a really good roundup of options. You make a good point that the tricky part of a hodgepodge of free tools, is that its awfully tough to tie it all together. Since marketers at schools are so strapped for time as it is, I’ve found that trying to work across separate email, analytics, landing pages etc.. is just tough for Marketers! That said, I’d like to offer to work with any school that needs our help at HubSpot. If you are a school in Brendan’s network- please reach out and my Education team and I will see if there is an appropriate HubSpot product that fits into your school’s budget, makes you more efficient, and most important.. helps your school meet growth goals. Hi Randy! – I think you’ll like Clicky. Let me know what you think after you get it up and running. I just downloaded the Clicky plugin for WP. Interested in this because I, too, don’t care for the complexities of GA.
I’m curious about Mention. I’ve been using Google Alerts to monitor our school, mascot, etc. What are the advantages of using Mention? Is it more like a dashboard experience where everything is in one place? Your posts usually do. Keep up the good work. Great post–reinforced some of what I already do, and it gave me some great new ideas. Thanks!